Geneviève Bujold, Cliff Robertson and John Lithgow. the original score written by the composer. of the original tapes. The result is stunningly convincing. London Decca release which were misnamed and incomplete in tracks 4 and 5. Now you have the details of all the right cues used in the original LP. including new interviews with editor Paul Hirsch and producer George Litto. 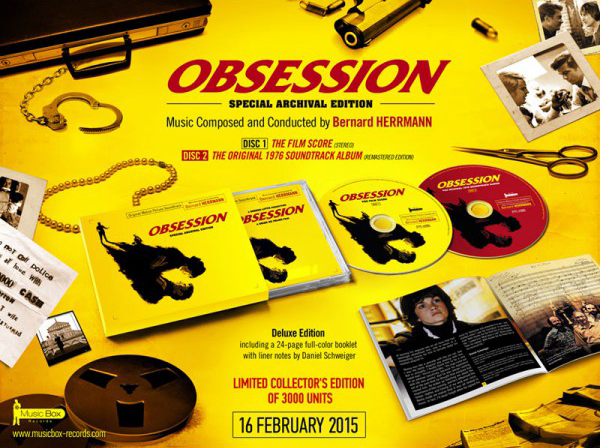 Everyone will no doubt be ''obsessed'' with this true original masterpiece!